I started riding at the age of 35, so I’m quite late to the party, but I’ve been with the club since day-1. 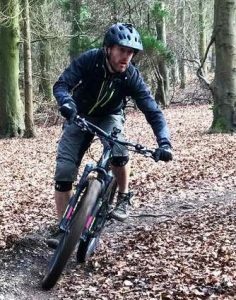 I’m very keen on the tougher MTB 4C to 5D cross-country and forest rides, and I also get a real buzz from helping beginners and improvers get the most from cycling. You’ll therefore find me on all levels of MTB rides, and helping out with workshops and events. I spend a lot of time studying maps to find new routes, and I love to vary my routes as much as possible. I ride a mountain bike without any gears so I’m limited to how fast I can go, but like to ride all day to make up for it. Chris does a lot of dabbling with bikes. 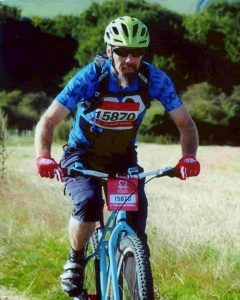 He regularly commutes to Brighton on his road bike but for fun is more likely to be found on a mountain bike. His stable of bikes includes a single speed but when he’s in the forest you’re more likely to see him shredding up the trails on a geared bike. 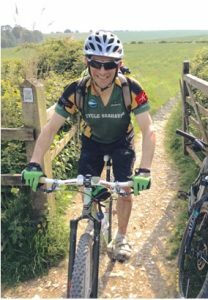 Chris loves single track so if you want to learn or progress your riding on the fantastic trails we have in Friston Forest, he’s your man. Chris can be contacted using the link at the top of this page. 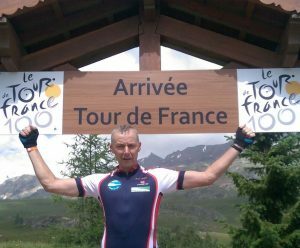 I’ve been an active cyclist virtually all my life, have cycled extensively in France as well as in Great Britain and have organised many fund-raising bikeathons for a major charity. 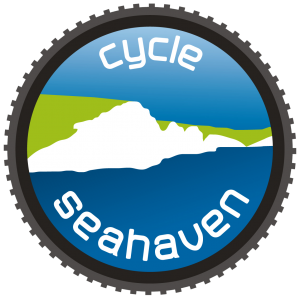 Since Cycle Seahaven was formed in early 2009 I’ve led numerous road rides for the club. I usually lead rides at level 3 (Touring Pace). My prime concern when planning a ride is ‘safety’. Therefore, I avoid busy roads except to cross them and, in the main, keep to quiet country roads. My ride descriptions on the Rides Calendar always have a link to the plotted route so members can take a look at it beforehand using Google Streetview. I started mountain biking in the 1980s and got back into the sport 2 years ago. I joined Cycle Seahaven so I could ride with others and haven’t looked back. I love the club ethics and the variety of riding which caters for everybody, irrespective of experience. My aim is to encourage others to ride, no matter what they consider their level of riding to be; so what you waiting for? It’s a great club! I ride and lead all genres of cycling but I mostly ride road bikes. I am the Ride Leader for the faster road rides that are more about the exercise and fitness value than the scenery your passing. There is a certain thrill about working together as a group drafting each other in a train at 25 mph and gaining an average speed of 17 or 18 mph over 50 miles. Leading a group of cyclists safely in traffic can be daunting at first but I can pass on my knowledge to anyone considering road riding to maintain the fun element. I have always enjoyed cycling for the benefits of healthy exercise in good company, preferably with a café or pub stop during the ride. 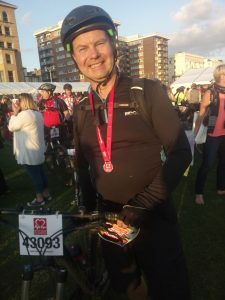 I assist Clive with running the Road, Tourist Pace group, and lead the Tourers (S)off(T) road ride, which is a monthly easy paced off road ride. I currently co-ordinate Dr Bike for Cycle Seahaven and also volunteer at Dr Bike Lewes. I’m always keen to do anything that will help more people get out on their bikes. 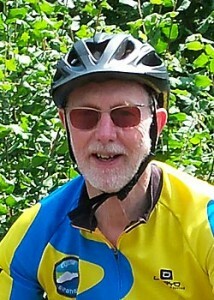 I am also Chair of the Phoenix CTC, a UK Member Group that promotes cycle touring. I’ve ridden bicycles since childhood and thankfully (now that I’m well into in adulthood) better bikes have become more affordable and reliable. My interest in all forms of cycling has grown in recent years. 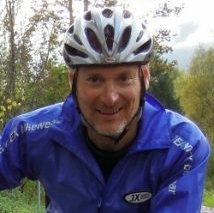 I am happy to lead MTB, Cross Country and road rides. With the exception of the most inclement winter months my preference is road riding at an intermediate level. If you’ve ridden on the roads but want to learn what it’s like to ride in a ‘train’, work as a team and understand the tactics employed when riding as a group then my rides might be suited to you. Details are on the Cycle Seahaven Calendar or you can email me by using the link at the top of this page. I started riding about 3 years ago as a complete beginner and was enticed to join the Club by the (usually short) Thursday Night Pub rides. 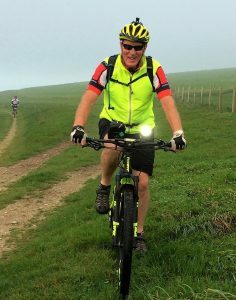 Since then I have increased my confidence and fitness and that has enabled me to ride The South Downs Way and I have also raced in Big Dog, a mountain bike race in Stanmer Park Brighton. You will mainly find me on a mountain bike but occasionally I ride a road bike; usually in Triathlons. This makes me sound fast and competitive, I’m not! – my rides tend to be short, sweet and very social. Look forward to seeing you soon. I have ridden a bike since I was a child,but it wasn’t until the growth of the MTB in the eighties that I found riding a bike so exhilarating and enjoyable. Even now in my retirement riding my bike is one of my top three activities that I enjoy the most. In 2009 I was looking for some “development” in my cycling life when Cycle Seahaven was formed,since then as the club has grown it has formed an integral part of my cycling life,long may this continue. You will usually see me on my ‘ugly coloured’ single speed bike that I sometimes park in favour of my geared suspension bike to enjoy the forest trails. 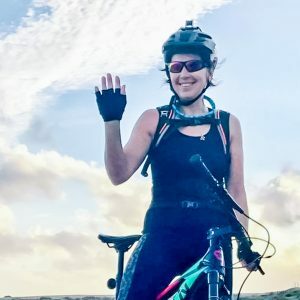 I am looking to lead ‘quick and dirty’ rides across the Downs to push you that extra bit further when you think you really can’t pedal anymore. I’m also looking to encourage and progress female riders and provided you don’t give me coffee or icing we are all safe! My rides will mostly be cross-country MTB at 3B to 5C levels with occasional all level rides to support the variety of members and events. Please check the grading and if unsure drop me a line. New to the world of cycling at the beginning of 2018, Gray is on a mission to get back to an active lifestyle. At his peak, he weighed in at a rather large 269lbs, though is well on his way to his first target of 196lbs. Way in the distance is the ultimate goal..! 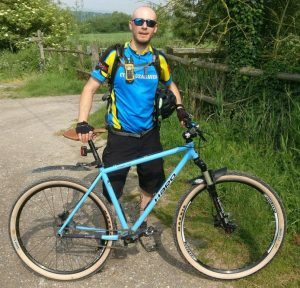 Gray likes a mix of rides from sedate gentle rides to exploring the South Downs, scooting around the forest, with the occasional pub ride thrown in! Predominantly he rides his Giant E-Bike, but now and then will dust off his hybrid for the shorter easier rides. 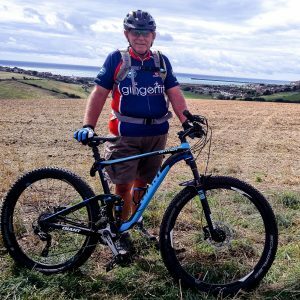 With the South Downs on the doorstep, Gray’s finding it an exhilarating journey to achieve his goals: thanks to Cycle Seahaven for the inspiration! He looks forward to seeing you on a ride soon. I am predominantly a cross country mountain bike rider. I ride for fitness and love finding new routes here on our doorstep. 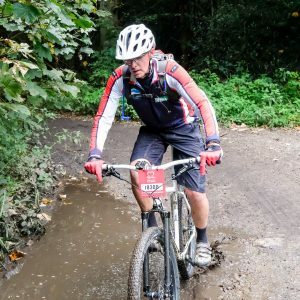 As a Ride Leader, I’m looking to run rides for people looking to get fitter or challenge themselves on cross-country routes, typically at a Cycle Seahaven MTB grading from 3 A to 4 C. However, I’m also happy to get involved with beginners or youth or just take you out to discover new routes. Please contact me using the Ride Leader Contact button at the top of this page if you would like to know more. Born in Newhaven I have been cycling around the Downs for many years now, and it is my privilege to work full time as a British Cycling Mountain Bike coach and guide at South East Mountain Biking and this has allowed me to meet so many wonderful people who have the same love of cycling both in the club and out. I like to ride on and off road although I tend to be on my mountain bike most of the time. I enjoy the social side of the club and it’s always great to meet new members. I’m looking to lead MTB rides to 3C level and I am always happy to assist other ride leaders. I particularly like getting involved with the ladies rides and would love to hear from any lady who is contemplating joining the club but might be a little unsure of what to expect. We are a very easy-going club whose strength lies in the support and encouragement we give to others. If you are not sure, please contact me, and come and join us for a trial ride. You won’t and regret it. I joined Cycle Seahaven around 3 years ago after a long layoff from cycling. I like being out on my bike, riding with other members, on the road; enjoying the great views that you can only get in Sussex. A road rider from the start, with a passion for hills and fast descents. A competitive side for the thrill of track racing and will push myself and others to the limit. I enjoy leading the fast sportive and intermediate club rides,(normally with my son in tow) which are aimed more at fitness and exercise but I’m always up for a bit of fun and banter. Riding in a bunch of cyclists is a rush with all the sounds of chains, gears, and voices. So no matter how far or fast the ride we never leave people behind. I have always been into biking and though initially I was a roadie in my younger days, since the mid 90’s I have been into Mountain Biking. I love getting out and enjoying the trails and hills we have all round us but I especially love seeing families getting out together and enjoying our forest so run regular monthly Forest Family rides around Friston Forest. I love showing local kids that there is a great amount of fun to be had right here on our doorstep that does not cost anything and is better for you and more fun than sitting on an XBox or Play Station all day. I joined Cycle Seahaven 8 months ago and haven’t looked back. I ride for fitness and love being up on the Downs in all weather’s on my one fork bike, “Kermit “. I enjoy meeting new riders and making new friends. but I do like a little bimble around Friston Forest single tracks when passing through. I look forward to riding with you soon. I started riding around the age of 8 and haven’t stopped. I’ve been riding the Downs since my early 20’s, and I never get bored with the views on offer, whatever the weather. So why do I ride? To keep fit, to have fun, make new friends and to enjoy the great countryside we have around this area. Getting out riding clears my mind of all the day to day issues, whether it’s grinding out a tough climb or whizzing down a fast descent or just trying to catch that your mate in front of you. Nothing beats that feeling of being out in the open air on your bike, having fun. In 2012, after a 20-year hiatus, I bought a mountain bike to keep fit, as I’d given up martial arts due to injury. Since then I’ve re-discovered my love of cycling. Now I regularly go on epic cross-country rides across the South Downs, usually riding 50 miles plus and sometimes over 100 miles in a day. You will also find me in Friston Forest guiding others around and throwing myself down craters. I ride a single speed bike, as I love the back-to-basics simplicity and the reliability of it. It’s also fun conquering big hills without the aid of gears. The aim of my rides is progression. This includes fitness and skills. Whether this is leading out grade ‘5D’ 70 mile cross country rides; cleanly climbing that killer hill or encouraging novice riders to ride their first forest hazard. “Many little steps makes for big progress” is my mantra. 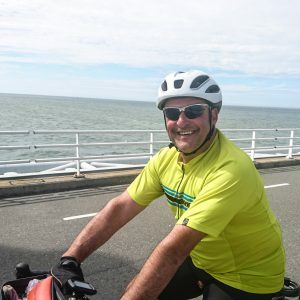 I’ve been riding since I was a kid and rode from Brighton to Devon when I was 15 on an old steel bike that weighed a ton and I’m still knocking out touring, audax and sportive rides 40 years later. Since then I’ve seen loads of different styles emerge: mountain bikes, carbon roadies, and now cx and carbon gravel go anywhere bikes. One thing is for certain though: whether big or small, novice or advanced, fat or wafer thin, road or off road, slow or fast, load or weight weanie, carbon or metal, we’ve a ride for you. I returned to riding a few years ago, encouraged by Jamie Lynch and the Friday night rides in the forest. I also Joined the Sunday Beginner/Improver ride then organised by Andy ‘Gus’ Lock. It could be a slightly ‘thrilling’ experience (going for it in the forest!) but allowances were made with humour and encouragement for my lack of fitness and skills. I hope as a ride leader I bring the same level of support and encouragement to the rides I lead. Since joining Cycle Seahaven I’ve met some great people, explored new and interesting places on my doorstep, had lots of laughs, and have got a bit fatter (I mean fitter) in the process! It’s really good to be able to ride with people of all abilities and encourage them to try new challenges. It’s amazing to see how quickly new and returning cyclists, develop skills, fitness and confidence. I love my Mountain Bike, ‘Monty’. I ride for fitness, exploring the beautiful countryside, enjoying the freedom and chasing a butterfly or two. Stopping for Tea & Cake, maybe lunch, possibly both and definitely Ice-cream. Meeting new riders and making new friends. I have organised the monthly Ladies Rides since the beginning of 2018: mainly gentle off road, these rides involve a lot of chat washed down with tea and cake! There’s some exciting Ladies Rides in the pipeline – keep an eye on the calendar for details. My aim is to provide the same level of support and encouragement, that I have received since joining Cycle Seahaven in January 2017. I want to help beginners and improvers, of all ages, to develop their skills and enjoy safe riding. I’m also keen to support our team of Ride Leaders on most levels of MTB rides. I’m one-half of ‘Team Winser’. I spend far too much time commuting on trains and wish I could ride to work but failing that am loving getting out at weekends. With two young children my main focus will be on organising rides the whole family can enjoy but with the option of a more adventurous detour on parts of the route. 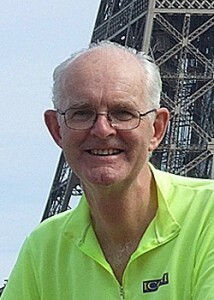 In my teens, I was a keen touring cyclist but had not touched a bike for 50 years till last November. Since then, I have concentrated on off road and trail biking through the forest and on the Downs. I used to like flat traffic-free routes like the Cuckoo Trail and Downs Link but then I bought an MTB e-bike, a Cube Reaction 29er, and my life has changed. The Downs are mine, I can go anywhere!